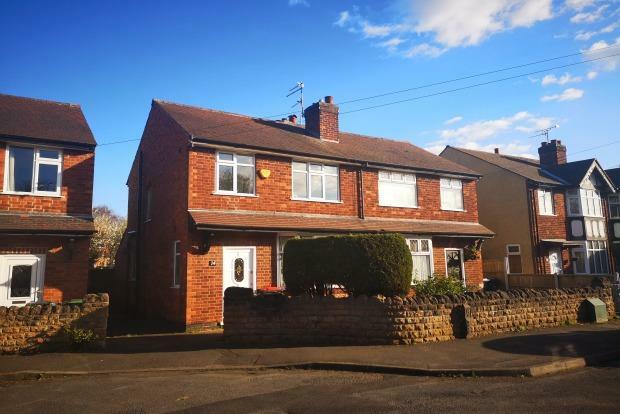 3 Bedroom Semi Detached House To Rent in Nottingham for £725 per Calendar Month. FRANK INNES is pleased to offer this 3 bedroom, Semi-Detached property located in the popular area of Beeston. The property is very spacious has lots of outside space and comes unfurnished. SUMMARY: A beautiful three bed semi-detached house, this property offers a spacious lounge with plasma fire, separate dining room and modern kitchen. Along with a two double bedrooms and one single, modern bathroom and a large enclosed garden. The property is ideally suited to full time working couples or professional sharers. It is located close to the tram stop making it ideal for the work commute! The property also benefits from being close to local amenities. MODERN FITTED KITCHEN: Fitted wall and base units, granite style worktop, sink and drainer. Neutrally decorated with tiled flooring, appliances to include; Neff oven, gas hob & chimney hood extractor fan. MASTER BEDROOM: Rear of the property and is a double with double glazed window, radiator, neutral decor and new cream carpet. SECOND BEDROOM: Double glazed window, a large double with neutral decor, carpets. BATHROOM: A modern house bathroom with bath and overhead shower, sink basin and WC.